(Wired) — Microsoft Windows continues to dominate the PC market with a 90 percent market-share stronghold, but when it comes to smartphones, Microsoft is getting beat up worse than a mustachioed villain in a Jackie Chan movie. Windows Mobile has lost nearly a third of its smartphone market share since 2008, research firm Gartner reports. Windows Mobile had 11 percent of the global smartphone market in the third quarter of 2008, according to Gartner, and last quarter Windows Mobile’s market share plummeted to 7.9 percent. Meanwhile, Apple’s global market share grew from 12.9 percent to 17.1 percent, and RIM saw a rise from 16 percent to 20.8 percent, according to Gartner’s figures. It’s worth noting Microsoft got a head start with Windows CE, its pocket PC OS, in 1996. Windows CE serves as the foundation for the Windows Mobile OS shipping with some smartphones today. The smartphone OS market, in fact, has existed for several years, and Microsoft was an early leader in the space. But only recently have several additional corporations stepped into this space with their own platforms. Microsoft’s biggest problem? 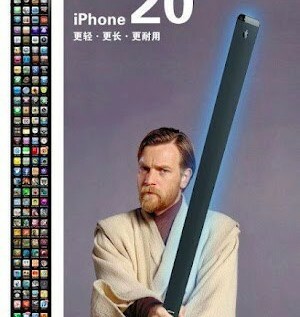 One word: iPhone. Many other technology observers agree that Apple receives credit for sparking the smartphone boom. The 2008 introduction of the App Store enabled third-party developers to sell their own software, further enhancing the capabilities of the iPhone. This proved a workable model, giving 40 million iPhone and iPod Touch owners the ability to choose from the now 100,000 apps in the App Store. Meanwhile, some developers earned hundreds of thousands of dollars with hot-selling apps. Even if most developers didn’t earn that much cash, the success stories helped make Apple’s App Store powerfully attractive. Apple’s blockbuster success with the iPhone and its App Store compelled other tech giants to offer their own mobile platforms and app stores as well. Google, Nokia, Research In Motion, Palm and others have opened app stores and begun recruiting developers to compete. But if Microsoft was the first player in this market, why wasn’t the software giant able to replicate the success it had with PCs? To Peter Hoddie, CEO of Kinoma, which develops a mobile media browser for Windows Mobile and other platforms, a major knock against Windows Mobile isn’t the OS itself, but rather the weakness of the bundled apps included with it. Hoddie compared Windows Mobile to the iPhone, whose apps he described as “beautiful,” which encourages third-party developers to produce apps of similar quality. That would give the iPhone another advantage: The iPhone operates on a closed system, which can only run on Apple hardware, meaning third-party developers can produce apps and games that work exclusively with the iPhone. Therefore, despite Apple’s questionable and controversial approval policy for iPhone apps, developers can code one app that works with 40 million iPhone and iPod Touch devices, which is less time consuming than developing several versions of one app for a variety of Windows Mobile smartphones. In turn, that spells out to a larger number of apps in the App Store, which enables Apple’s hardware to cater to a larger and broader audience. And even in the enterprise market, Apple’s iPhone is winning. In a recent customer satisfaction survey conducted by JD Power, Apple grabbed the number 1 spot for smartphones in business. How? JD Power found that more than half of business smartphone owners reported downloading third party games for entertainment, and 46 percent report downloading travel software such as maps and weather apps. That would suggest enterprise users are interested in mixing business with pleasure in their devices  and the iPhone’s wealth of choices in the App Store covers those needs. “I would say Microsoft needs to err more on the side of going too far into the consumer segment versus trying to achieve a good balance between enterprise and consumer features at this point,” Rubin said. Despite Microsoft’s recent shrinkage in the mobile OS market, it’s not over for Windows Mobile. Rubin said he expects Microsoft to redeem itself with its next OS  Windows Mobile 7  as it did with Windows 7 after negative reception of Windows Vista. Microsoft declined to comment on details about Windows Mobile 7, but a spokeswoman said mobility is one of Microsoft’s top investment areas, and the company’s mobile strategy will not change. Leaks indicate Microsoft plans to incorporate iPhone-like touch gestures. Windows Mobile 7 is scheduled for a 2010 release.